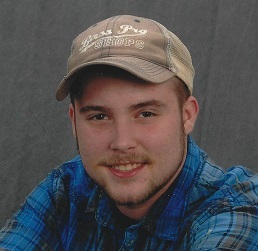 Austin Lee Frushour, 21, of Thurmont, MD, passed away Saturday, January 12, 2019 near Emmitsburg, MD. Born Monday, July 7, 1997 in Fort Bragg, NC, he was the son of Amy Frushour and grandson of Terry and Beverly Frushour all of Thurmont, MD. Austin graduated from Catoctin High School class of 2015. While in high school, he attended CTC studying auto repair. After high school, he attended Wyotech in Blairsville, PA and studied auto trade. Austin was on the golf team all four years of high school. He played soccer and tee-ball in his younger years. He was a charter member of the Thurmont Lions Club – Leo Club and a member of the Guardian Hose Company of Thurmont. Austin loved life to the fullest. He had a smile that would make you smile back. He enjoyed spending time with family and friends and always would find time to help someone. He was employed by the Frederick News Post as a newspaper carrier. In addition to his mother and grandparents, Austin is survived by aunt, Jennifer Frushour, great-grandmother, Alice Marshall, brother, Joseph Neil, his fiancé, Angel Sharrer, aunts and uncles Paula and James Garman, Vicki and Bobby Frushour, Gloria and Kenny Frushour and Donna and Paul Frushour. Austin will be remembered by many, many, friends especially Bubba Williams, Brooke Miller, Emily Coyle, Brad Richards, Christina Miller, Ethan and Kelsy McClure, Adam and Brett Wood, Garrett Buckley, Steve English, Shannon and Mark Glass, Chloe, Trey, Michelle Harbaugh, Jon and Paige Sweeney, the Harbaugh/Bentz family and many others. Austin would not want you to cry. He would say “Hey, I’m hanging and waiting for you.” People would always tell his grandparents Terry and Beverly, I saw Austin and he greeted me with a smile and hug. A memorial service will be held Friday, January 18, 2019 at 11:00am at Trinity United Church of Christ, East Main Street Thurmont, MD, with Pastor Sean DeLauter and Pastor Sue Koenig officiating. Burial will be private in Blue Ridge Cemetery, Thurmont, MD. The family will receive friends from 9:30am to 11:00am before the service. In lieu of flowers, memorial donations may be made in memory of Austin Frushour to Trinity United Church of Christ 101 E. Main St. Thurmont, MD, 21788 or to the Guardian Hose Company 21 N. Church St. Thurmont, MD, 21788. Arrangements were made by J.L. Davis Funeral Home, Smithsburg, MD, and online condolences may be offered at, www.jldavisfh.com.